Huggins Honda maintains a competitive inventory of new Honda cars, trucks, SUVs and vans for our customers who live in Azle, Texas to choose from. Be sure to check our current New Honda Specials and current New Honda Incentives to take advantage of our money saving deals. You can request more information about a new Honda vehicle using the Contact US form or by calling (817) 605-5607 from Azle today. Test drive a brand new Honda today by visiting Huggins Honda at 7551 NE Loop 820, North Richland Hills, TX 76180. Azle Texas is a small community northwest of the DFW Metroplex with a colorful history. The first post office opened in 1881, and the town took the name of O'Bar, in honor of the man who obtained the postal service. A short time later in 1883, the name was changed at the request of Stewart, who donated the land for a town site, in order to have the town named Azle. The community's economy was based on agriculture. Multiple crops were grown, including wheat, corn, peanuts, sorghum, and cotton. Watermelons, cantaloupes, peaches, plums, and pears were also produced. Dairy farming became important in the early decades of the twentieth century, when local milk products were sold to creameries in Fort Worth. Azle today is a bustling suburb that is a great place to live and raise a family. We are confident that we have the Honda Certified Used car, truck or SUV you are looking for. We maintain a huge inventory of Honda Certified Used Cars, as well as a large Pre-Owned Inventory of cars, trucks, vans, and SUVs to choose from at our Honda Dealership serving Azle, Texas. We put every one of our used cars through an extensive multi-point inspection by an ASE Certified Technician, who probably lives close to Azle TX, before putting them in our used car inventory. The Honda Certified Used cars must pass a more comprehensive inspection to ensure they are of the highest quality for customers who living Azle. Every pre-owned car for sale at Huggins Honda has received a full detail and is ready for immediate delivery. Get started now! Browse our Used Car Inventory for sale to residents of Azle, Texas today. The Huggins Honda experienced and expert finance staff is eager to share their credit abilities with you and they believe they can get credit for everyone. We encourage you to browse our online inventory, schedule a test drive and investigate our Honda Finance options including customers with bad credit, bankruptcy, and first time buyers with no credit. 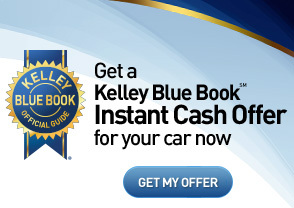 You can also request more information about a vehicle or financing in Azle, Texas, by calling (817) 605-5607 today. Use our secure Honda Credit Application to get Pre-Approved for a loan online anywhere WiFi is available in Azle. Does your Honda need repair or maintenance? We welcome you stop by Huggins Honda for Honda Service at our Honda Dealership serving Azle, TX, or contact our Service Department at (817) 485-7121. We will be happy to serve you! At Huggins Honda our ASE certified technicians are committed to get you back on the road to Azle fast, if possible, and to keep your Honda vehicle running smoothly for years to come. We offer Honda Service, Maintenance, and Warranty Repair, as well as rapid Texas State Inspection, usually done in minutes, near Azle TX. All vehicle repair service includes a multi-point inspection of your car, truck, or SUV to identify problems before they occur, and a warranty that is backed by Huggins Honda for your peace of mind. You can trust Huggins Honda for all of your automotive service needs. Schedule Service online today at the Honda Dealer who should be your first choice for a Honda Service Center serving Azle TX. Need a Honda Part? Searching for a place to get a quality OEM Honda oil filter, air filter, brake pads, brake rotors, fuel filter, or cabin filter? Huggins Honda, serving Azle, Texas serves Honda customers with genuine Honda Parts, including collision repair parts to repair auto body damage from an accident in the Azle TX region. Huggins Honda also has a full line of all the most popular Honda Accessories for your Honda car, van, SUV, or truck. Call Huggins Honda, or use our secure online Parts Order Form today. Huggins Honda Parts Department serves residents of Azle, Texas.